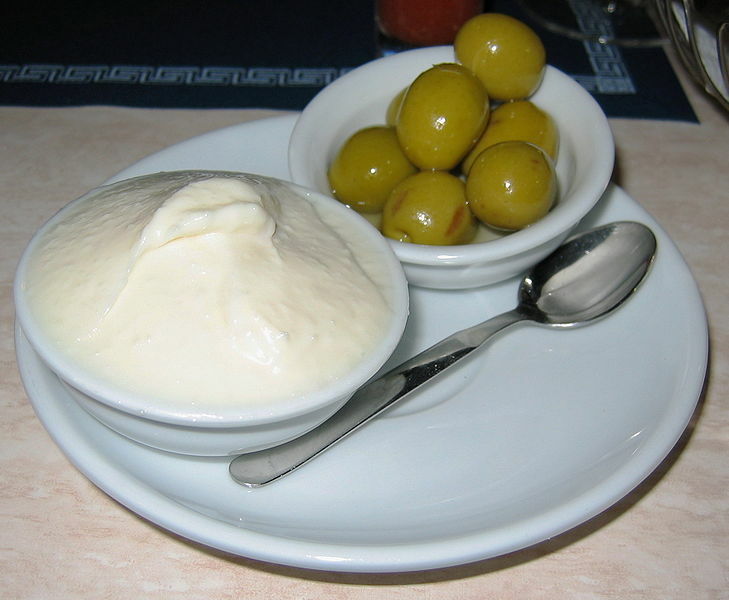 Aioli is a sauce made of garlic and olive oil. Normally egg is also added for ease of mixing. There are many variations, such as the addition of mustard. In the Occitan Valleys of Italy it is served with potatoes boiled with salt and bay laurel. It is usually served at room temperature. 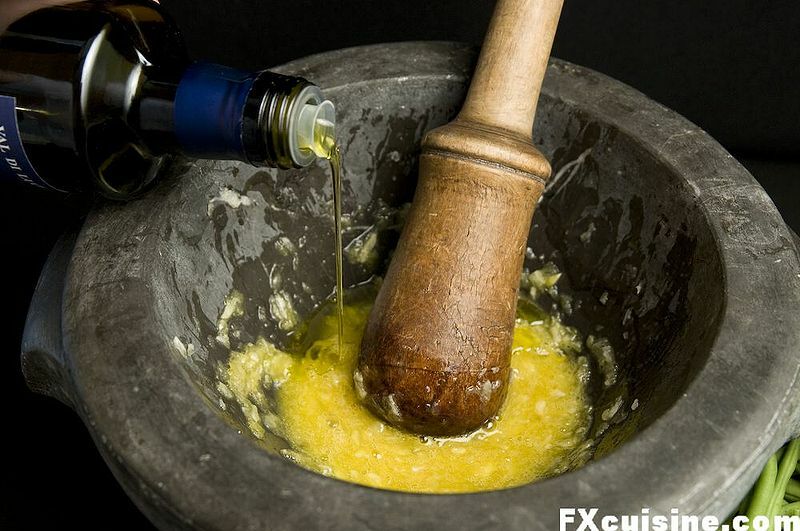 The name aioli (alhòli) comes from Provençal alh 'garlic' + òli 'oil'. Aioli is, like mayonnaise, but can also be said it is like a dip, or an emulsion. Egg yolk is a commonly used emulsifier but mustard and garlic both have emulsion-producing properties. Classic aioli is made without egg, though many aioli recipes use it. For traditional aioli the garlic is ground in a mortar while adding small amounts of olive oil, leading to a smooth and very strong tasting aioli. More commonly, egg yolks, garlic and Dijon mustard (if adding this as a common variation on the basic aioli) are combined first with a whisk, then the oil and the lemon juice are added slowly with whisking to create the emulsion. The additions of the dissimilar ingredients must be slow to start and then can be faster once the initial emulsion has formed.